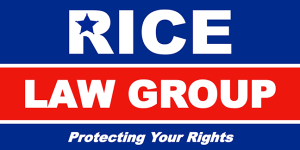 St Pete DUI Accident attorneys of Rice Law Group take pride in representing the victims of drunk driving. Regardless of all of the work done by Local Law Enforcement, policy makers and concerned citizens, drunk driving still remains as a significant problem on Florida roadways. Accidents caused by drunk driving in St Petersburg and throughout Florida threaten those who drive safe and obey traffic laws. Many times innocent drivers are seriously injured by a driver who is under the influence of alcohol. 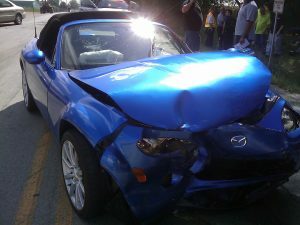 Its important to speak with a St Pete DUI accident attorney immediately. The CDC estimates that nearly one third of all traffic related deaths are the result of impaired driving. Drivers between the ages of 21-24 make up a third of all drunk drivers. Drivers between the ages of 21-44 make up 88% of drunk drivers. DUI accidents are a serious problem that is not going away. The St Pete DUI accident attorneys at Rice Law Group of St Petersburg understand just how serious the issue is, and are here to provide legal representation to victims of DUI accidents. Injuries suffered during a St Pete DUI accident can cause personal injury to the victim and often create a financial chaos that is hard to overcome. Injuries may leave a victim unable to work and pay bills, long term medical care maybe needed as well as rehab. Facing these issues with expert DUI accident representation from Rice Law Group will ensure that you will get maximum compensation that you deserve. The enforcement of DUI Laws throughout Pinellas County and the state of Florida, are the best way to get those who drink and drive off of our roadways. Checkpoints, patrol cars and alerts serve to protect our streets and remind all that there are consequences. At Rice Law Group of St Petersburg we know that a personal injury lawsuit is important for many reasons following a St Pete DUI accident. First it enables the victim go after compensation for injuries suffered, damage to property, medical expenses, lost earnings, emotional trauma and other losses or injuries experienced due to the DUI accident. The attorneys at Rice Law Group of St Petersburg have over 30 years of experience with DUI accidents. We use our expertise to fully investigate drunk driving accidents so no stone goes unturned. We review police reports, interview witnesses and look at all circumstances relevant to the DUI Accident.